A boxer turned ballplayer, Ira James “Pete” Flagstead became a 13-year major-league outfielder who hit .290 over the course of his career, mostly spent with the Detroit Tigers and Boston Red Sox from 1917 through 1930. He was raised a long way from the major leagues of the day, in Olympia, the capital of the state of Washington. William Flagstead’s father, Thomas, worked aboard boats. Born in 1831, he came to the United States in time to be included in the 1870 census, which listed him as a fisherman in Muskegon, Michigan, a sizable city on Lake Michigan. Ten years later, Thomas was a sailor. It was the profession that William held in 1900, a sailor on the Great Lakes living in Muskegon with his wife, Bella, young Ira, and two other sons, Willie (a couple of years younger than Ira) and Harold, three years younger than Willie. A daughter, Dorothy, was born after Willie. According to the 1910 census, Bella worked as a servant for a private family. In Muskegon, the family lived across the street from a baseball field and it’s not surprising that by the age of 16, Ira was the catcher on the Muskegon Independents town team. A degree of wanderlust took him west, setting out with a suitcase but without a plan and he wound up in the Northwest, working in a lumber mill in Littlerock, Washington. He later moved to Olympia to work in a mill and then as a steamfitter. In the Washington capital, Ira was the catcher for the Olympia Senators beginning in 1913. He’d been offered a tryout with Seattle but declined, since the pay was less than he was making. Flagstead turned instead to baseball and became a catcher on the foundry ball team. “Flaggy” was good, and he came to the attention of Frank Raymond, the manager of the Tacoma Tigers, a Class B team in the Northwestern League. It was May 1917. He started out batting so well that another ballclub took immediate notice: the Detroit Tigers. It was former White Sox catcher Billy Sullivan who signed him. Sullivan was working for Detroit and had come to scout Herm Pillette. He saw Tacoma beat Seattle in 14-inning game, 2-1, with Flagstead driving in both runs. Sullivan paid $750 for his contract and reported to Detroit on July 17. Flagstead debuted with the Tigers on July 20, coming into the game to hit for right-fielder George Harper in the seventh and playing through the ninth (a 3-1 loss to the Yankees), having two at-bats but no hits. He appeared in four games in 1917, collecting four at-bats without a hit and striking out once. He played in parts of two games in the field, but handled no chances. It was back to Tacoma and by the end of the year he had played in 56 games for Tacoma as an outfielder, hitting an impressive .376, fourth best in the league. He was eagerly anticipated in Chattanooga. In 1919, Flagstead joined Detroit for the season. The Tigers had enough catching, so he was tagged for outfield work by manager Hughie Jennings. It was thought that he might have a very good season, and he didn’t disappoint, starting off with two singles and a double in his first game, on April 26. He experienced the proverbial sophomore slum in 1920, his average plummeting to .235. Detroit added a proper shortstop in Topper Rigney, who also hit .300, and another reserve outfielder in Bob Fothergill. 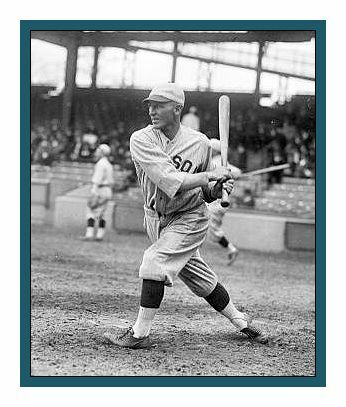 Consequently, Flagstead played only half as much in 1922 as he had in 1921, just 44 games, and hit .308. The Tigers just had so many superb ballplayers, particularly in the outfield slots, that they had a .300 hitter as a utility player. Flagstead did have the opportunity to play a pretty full year in 1923, but it was mostly for the Boston Red Sox. He’d gotten in one pinch-hit at-bat with the Tigers on April 24, four days before he was traded. When the trade happened, on April 28, it was Flagstead for Ed Goebel, also an outfielder, who never appeared in a game for either Boston or Detroit. For Boston, manager Frank Chance had Flagstead take over the lion’s share of the work as the team’s regular right fielder (filling in a lot for Shano Collins), and Ira hit .312 in 109 games with a career-high eight home runs. Only left-fielder Joe Harris hit more. It was the first of six full seasons he played for the Red Sox, some of the worst seasons in Red Sox history. The team was so deep in the cellar that it hardly ever saw the light of day. Yet Flagstead averaged .295 in 2,941 Boston at-bats and drove in 299 runs. He made a good impression from the start, hitting a home run in his debut on May 10, but the White Sox beat the Red Sox, 9-7. One of the bigger RBIs came on September 14, in the game in which Red Sox first baseman George Burns pulled off an unassisted triple play. Flagstead made “several wonderful catches” in right field, and the hard-fought game with the Indians went into extra innings tied 2-2. Cleveland took a 3-2 lead in the top of the 12th, but Flagstead came up with the bases loaded in the bottom of the 12th and hit a “sizzling drive” to left field which scored the tying and winning runs. Except for 1923, Flagstead played center field almost exclusively from that point on. There was one disappointing day, when his errant ninth-inning throw on June 5 cost the Red Sox the ballgame. But his 31 outfield assists led the league in 1923, as did his 24 in 1925. He was a bit of a reckless outfielder, it seems, crashing into walls. A bit of hyperbole, of course, but none other than Babe Ruth claimed that Flagstead deprived him of as many as 10 home runs a year. Flagstead was living in Littlerock, Washington, as 1924 began, and made his way to San Antonio for Red Sox spring training, arriving on the evening of March 14 and reporting to manager Lee Fohl. His place in center field was secure and he did nothing to jeopardize the status. He played in 149 games in 1924, hitting .307 (with a .401 on-base average), tapped as Boston’s leadoff hitter. He drove in 43 runs, but scored 106, by far tops on the team. August 20 was his best day; his four hits (including a double and triple) figured in three runs of Boston’s 5-4 win over the Indians, as did at least one sensational shoestring catch in the field. During the offseason, back in Washington state, Flagstead had one of his brothers pitch to him using cheap, nonregulation baseballs – because they were a bit smaller and therefore trained his eye better. He was reported in good physical shape just one day after arriving at spring training, and it paid off: he appeared in 148 games, though he tailed off in average (.280, after five straight seasons hitting above .300). He drove in 18 more runs than in �24 but scored 22 fewer. His eye was in fine shape on May 8, however, when he was 1-for-1 in a game but scored five runs (he walked five times.) Part of the problem with his average followed Flagstead’s being beaned by Benny Karr of the Indians on May 14. He was hitting .323 at the time and missed only a few games, but he rarely hit as high as .300 again. Flaggy set a record on April 19, 1926, in the second game of the Patriot’s Day doubleheader against the visiting Athletics, by taking part in three double plays in one game, all from center field. July was not a good month, though. He was suspended indefinitely on July 12 for something he’d said in a prior game to Umpire Harry Geisel (he was back by the 15th, however), and then he suffered a broken collarbone on July 31 making a diving catch of a low liner, and was out for the rest of the season. He’d hit .299 and was on track for his fourth year in a row of solid baseball. Flagstead reached base 37.4 percent of the time in 1927, batting .285, and hit .290 in 1928, playing in 131 and 140 games respectively. He was reliable and steady, though at age 33 and 34, his average had tailed off. He was a popular player in Boston at a time when the team offered little to attract fans. A July 26, 1928, column in The Sporting News persuasively made the case: “He is one of the reasons why the fans here have always been so patient with the Red Sox. It is not so easy to razz and rough ride a ball club which has the hustling, sincere Pete Flagstead playing center field.” Fans had held a “day” for Flaggy on July 21, and he was presented with $1,000 in gold and an automobile. “Harry Hooper was never more popular than Flaggy in Boston, and that’s saying quite a mouthful because there have been few players anywhere who have such a degree of popularity as Hooper enjoyed here for years.” The car came in handy, given Flagstead’s residence in the Northwest and his love of driving. He also enjoyed sightseeing in the cities he visited, often taking tour buses and visiting sights like the Bronx Zoo and the Smithsonian. 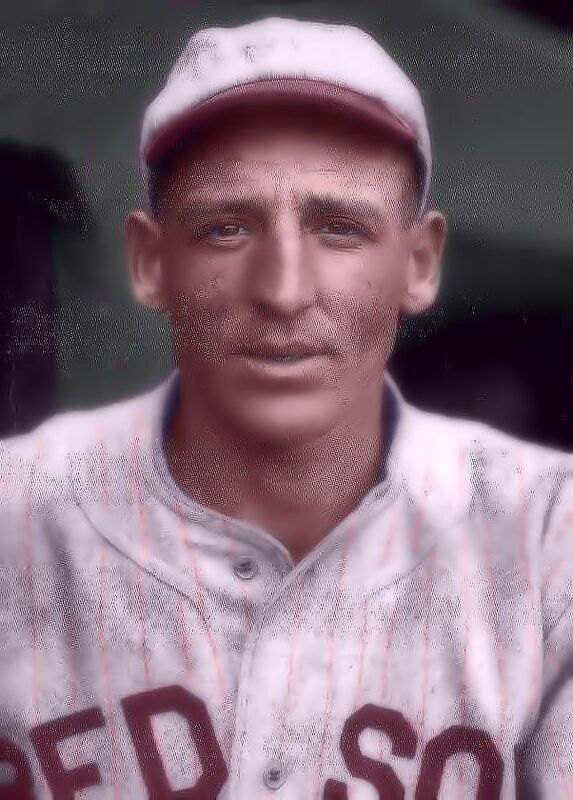 In 1929, the Red Sox were ready to go with Jack Rothrock in center field and so floated the 35-year-old Flaggy on waivers early in the season (even though he was hitting over .300 at the time). He was claimed by the Washington Senators on May 25. There was one more year of baseball in Flagstead’s future, though. He played in the Pacific Coast League for Seattle and Portland in 1931, hitting .231 in 68 games. It was time to move on. Flagstead returned to Washington, where he and his wife Reita enjoyed fishing and raised game roosters and English call ducks. He played more leisurely ball in Olympia, and had the talent to help land his Timber League team in the playoffs three years in a row. He was recognized by both his birth state (in the Muskegon Area Sports Hall of Fame) and his adopted state (Washington Sports Hall of Fame). Flagstead took ill in August 1939 and died in his sleep the following March 13 at the very young age of 46.